Place support exactly where its needed beside a bed, bath, toilet or chair. Floor to Ceiling Range: Standard 8ft. Ideal for the seniors or handicapped. Waterfall armrests provide additional comfort. Adjustable width fits bathtubs 19" - 28"
Goes with you everywhere you need a bath bench! 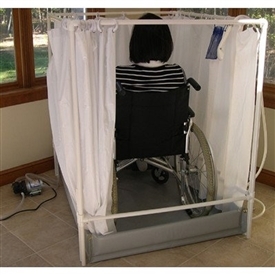 Bathroom Safety products are designed for patients who have difficulty using everyday items in a bathroom. 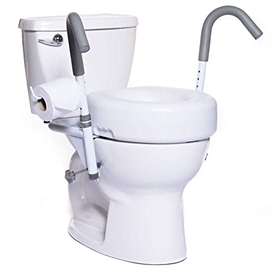 All of our products are guaranteed to aid in the everyday use of items such as toilets, bathtubs, and sitting and standing.